The stark warning comes after the Ministry of Housing, Communities and Local Government revealed that 4,677 people slept rough on a single night last autumn. 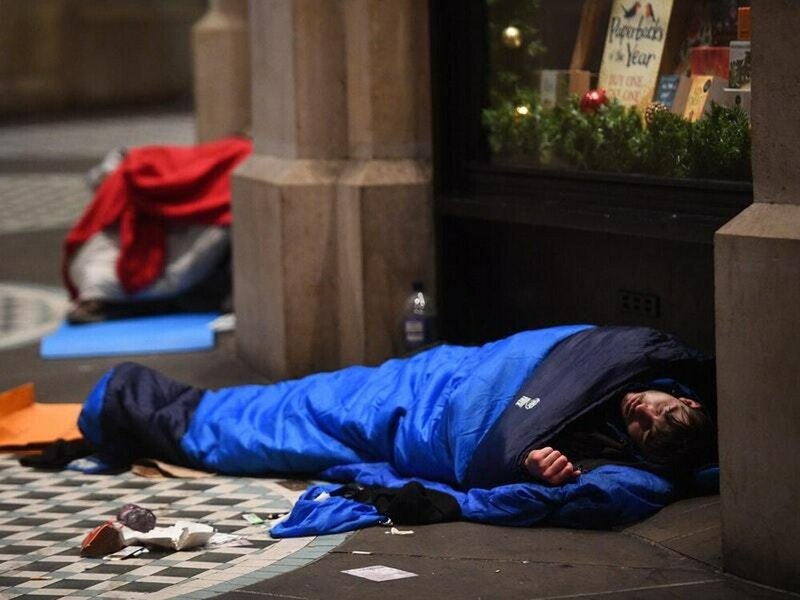 “Living on the streets is one of the most dangerous experiences anyone could face”, said Jon Sparkes, chief executive of homelessness charity Crisis. The new data follows the “barbaric” attack on a homeless man in Coventry, who was set on fire as he slept over the weekend. Mike Fowler, chief executive of the local homelessness charity Coventry Cyrenians, said: “Irrespective of whether one is sympathetic to the plight of homeless people or not, to believe that such a barbaric attack on a fellow human being is acceptable is simply horrendous”. According to the youth homelessness charity, Centrepoint, 47% of young rough sleepers surveyed had been victims of assault or physical abuse while sleeping out. The research, carried out in 2015, also found that over half (57%), had experienced verbal abuse, while 36% had been victims of theft. Paul Noblet, head of public affairs at Centrepoint, said: “Homelessness can take a huge toll on homeless people, and those sleeping rough are particularly vulnerable to physical and verbal abuse. The attack in Coventry is one of many high-profile incidents involving rough sleepers and homeless communities throughout the country. Most recently in December 2018, a 43-year-old homeless man living outside the Houses of Parliament died. Gyula Remes, collapsed inside the underpass at Westminster Underground Station and later died in the early hours of December 19 – from what his friends suspected was an overdose of the synthetic drug, spice. He was the second homeless man known to have died beside the Palace of Westminster last year. Some 597 people sleeping rough or in emergency accommodation were estimated to have died in 2017 in England and Wales, according to the Office for National Statistics (ONS). The official estimates, released in December 2018, were the first of its kind and revealed that life expectancy for the homeless is nearly half that for people in stable housing – with homeless men and women dying on average at the age of 44. The data also found that London and the North West of England had the highest mortality rates, while in England and Wales more than half of homeless deaths were due to drug poisoning, liver disease or suicide. The ONS defines homeless people as those sleeping rough or using accommodation such as homeless shelters or hostels at around the time of their death.